1Manjula Rathod, Ph. D. Scholar. Dept. Of P.G. Studies and Research in Botany, Gulbarga University, Kalaburagi-585106. Karnataka, India. Tagetes erecta L. (Asteraceae) is used to treat epileptic fits (Ayurveda), fever, wounds and microbial infections of livestock’s in folklore medicine of Kalaburagi district. As little work has been carried out on fresh material so present study aims to evaluate aqueous extracts of fresh leaf and flower for phytochemicals, antioxidants and anti-inflammatory activities. The results revealed that the leaf extract was rich in primary as well as secondary metabolites as compared to flower extract. The physicochemical analysis such as moisture, crude fat, crude fibre content and total ash values found higher in leaf extract than flower extract. The DPPH and Nitric oxide radical scavenging activity found higher in flower extract than the leaf extract when compared to standards. Whereas the Hydrogen peroxide and Reducing power assay of leaf extract showed higher activity than flower extract at different concentrations. Anti-inflammatory activity showed that the HRBC membrane stabilization activity of leaf extract was found higher than flower extract and albumin denaturation activity of flower extract was found higher than leaf extract. From the study it is evident that the fresh leaf and flower extracts of Tagetes erecta are effective source of naturally and pharmacologically active compounds which can be used in herbal remedies. Key words: Phytochemicals, Free radicals, proximate analysis, anti-inflammatory Tagetes erecta, leaf, flowers, Kalaburagi. athod Manjula A and Mathad Pratima (2018) Evaluation of phytochemicals, antioxidants and anti-inflammatory activity of fresh leaf and flower extracts of Tagetes erecta L. grown in Kalaburagi., Int. J. of. Life Sciences, Volume 6(2): 427-433. Author likes to thanks UGC, Rajiv Gandhi National Fellowship for SC students (JRF) for providing financial support to the study. Arefin Sayema, Md. Islam Towhidul & Hossain. Md. Tanvir. (2015) Proximate analysis, Phytochemical screening and antioxidant activity of Tagetes erecta flower growing in coastal area of Bangladesh. Journal of Global Biosciences, 4 no 4 pp.2060-2066. Dharsana JN and DR Molly Mathew SR (2015) Anti-inflammatory activity of Morinda umbellata by membrane stabilization method. International Journal of Pharma and Bio Sci, 6 (1), P 349–353. Ferreira Isabel CFR, Baptista Paula, Vilas-Boas Miguel (2011) Free-radical scavenging capacity and reducing power of wild edible mushrooms from northeast Portugal Individual cap and stipe activity, Elsevier Food Chemistry. 100, 1511–1516. Bjelakovic G, Nikolova D, Gluud C (2013) Meta-regression analyses, meta-analyses, and trial sequential analyses of the effects of supplementation with beta-carotene, vitamin A, and vitamin E singly or in different combinations on all-cause mortality: do we have evidence for lack of harm? . Gayathri S Sree and Daniel Rachel Regi (2015) Nutritional Potentiality and Elemental Analysis of Leaves of selected medicinal plants. Journal of Scientific Research, 4 (4). Gopi G, Elumalai A and Jayasri P (2012) A concise review on Tagetes erecta. International Journal of Phytopharmacy Research, 1 (30) 16-19. Hussain A Zakhir and Kumarsen (2012) Antimicrobial activity and heavy metal analysis of Ipomoea obscura. L, Journal of Microbiology and Biotechnology Research, 4 (5), 18-23. Mahadevan V, Vadivel V and Brindha P (2016) In vitro antioxidant and anti-inflammatory activities of aqueous extract of an Ayurvedic formulation Dasamula and its herbal ingredients: A comparative study. International Journal of Green Pharmacy, 10 (4) S 211. 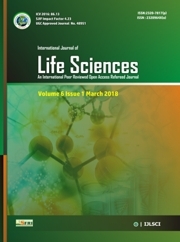 Mathad Pratima, Sikandari Sumayya, Honnalli Jyothi and Patil Anil Kumar (2016) Phytochemical studies of two selected Unani medicinal plants of Kalaburagi region, Karnataka, India. International Journal of Pharmaceutical Sciences and Research, 7 (6), 2597-2605. Mathad Pratima, Sikandari Sumayya, Honnalli Jyothi and Patil Anil Kumar. (2016) Phytochemical studies of two selected Unani medicinal plants of Kalaburagi region, Karnataka, India. International Journal of Pharmaceutical Sciences and Research, 7 (6), 2597-2605. Natasha Kamat, Prajakta Barve, Yogita Sawant, Lalitha Shree SJ (2016) Phytochemical analysis of leaf extracts of Annona muricata. Proceedings of the National Seminar on ‘Herbal Technology & Ethanobotany’, p46-50. Jayanthi P and Lalitha P (2011) Reducing power of the solvent extracts of Eichhornia crassipes (Mart.) Solms, Int J Pharm Pharm Sci, 3, (3), 126128. Prabha Saravana P, Gopalakrishnan VK (2015) In vitro free radical scavenging activity of Ipomoea obscura (L.) KER – GAWL. Leaf, Indo American Journal of Pharm Research, 5 (03). Sadashivam S and Manickam (1991) Biochemical methods, New Age International (P) Limited , p 12-13. Shetty Lokesh J, Farouk Sakr M, Kais Al-Obaidy, Patel Mohammed J, Hidayatullah Share f (2015) A brief review on medicinal plant Tagetes erecta Linn. Journal of Applied Pharmaceutical Science, Nov 5 (suppl_3), S91-S95. Summne and Judith (2000). The Natural History of Medicinal Plants, Timber Press, p16. Theng KB, Korpenwar AN (2015) Quantitative Estimation of Some Phytochemical and Determination of metallic elements from Pueraria tuberosa (Roxb. Ex Willd.) DC. Tuber. 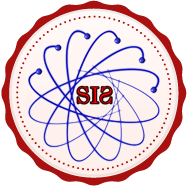 International Journal of Science and Research (IJSR) , 4 (2). Thimmiah SR (1999) Standard methods of biochemical analysis, (1999) and 2006. p 421-426. Valyova Miglena, Stoyanov Stanimir, Markovska Yuliana, Ganeva Yordanka. (2012) Evaluation of in vitro antioxidant activity and free radical scavenging potential of variety of Tagetes erecta L. flowers growing in Bulgaria. International Journal of Applied Research in Natural Products, 5 (2), pp. 19-25. Vishnuvathan VJ, Lakshmi KS and Srividya AR (2017) Study of antioxidant activity of Formononetin by in vitro method. Int J Pharm Sci. 9 (2), 273-278..